On an eCommerce store, you need to display your products in a manner suiting the preferences of your customer. It means you are taking the effort to make it easier for your customers to find and choose products on your store. When you go deeper into customer behavior aspects on an eCommerce store, you will see there are differences in the way people shop. A lot of such variations in customer preferences are based on the type of products you sell, or on the nature of your business interactions. Catering to these differences will help you improve customer experience on your store. That is why displaying products as a list might work effectively for a lot of businesses. 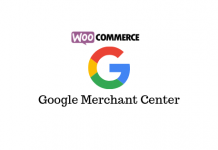 In this review, we are digging deep to understand one of the most popular solutions for this – WooCommerce Product Table by Barn2Media. Find some interesting tips to display product information more effectively here. As you may already know, the way you display your product information has a lot of influence in the purchasing decision of a customer. Based on the nature of the business interaction, you can make the display more convenient. For example, if you are maintaining a restaurant’s website with online ordering option, you might want a different approach. The default WooCommerce product listing wouldn’t really work here as the options will be too many for customers to scroll through. In addition, they will have to go to the product details page and choose variations, add-ons, etc. The same scenario is applicable even when you have a wholesale shop, and retailers are looking to purchase multiple products in bulk. Fundamentally, when you don’t have to put much emphasis on presenting details, you can use the WooCommerce Product Table plugin. You can determine the usability of this plugin on your store, by closely analyzing the purchasing patterns of your existing customers. WooCommerce Product Table Plugin helps you display more number of products on the screen than the default layout. This will help customers to add products to their Cart faster, when they already know the products well. And, it also makes sure the customers can add extra product options and choose variations from the same screen itself. The customer friendly layout will contribute significantly to improved sales and conversions on your store as well. 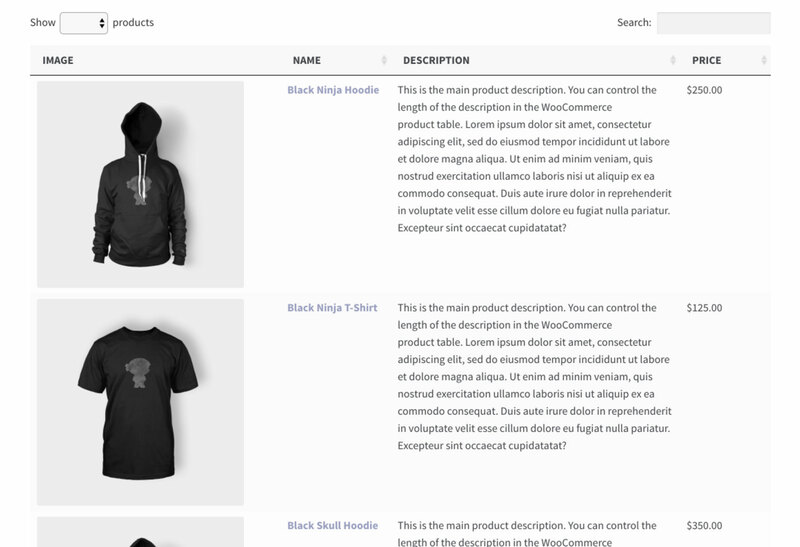 As mentioned earlier, this layout won’t suit all kinds of WooCommerce stores. For example, a designer boutique would want to entice the user with carefully crafted product images and descriptions. On the other hand, there are several other kinds of businesses where this layout is greatly useful. Let’s take a look at a few examples to understand this. Stores that have a large number of similar products would need a layout that will help customers to quickly compare them. When products are presented in a list it will be much easier to compare attributes and prices to make a choice. Wholesale stores that would need to make the product presentation more functional than fancy. This layout would help enable bulk purchasing. Food delivery sites, where customers need to make multiple selections on the same page. You might also have a store with a vast array of products, where you need to simply make better use of space. 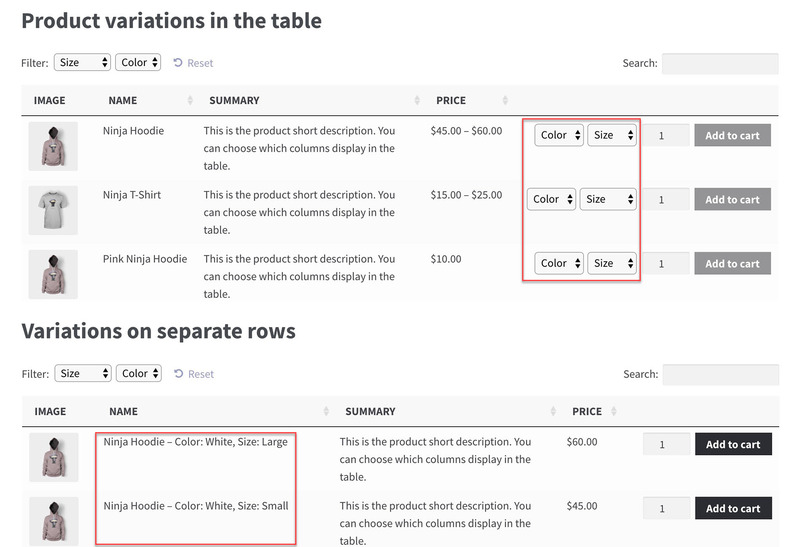 This plugin helps you list your WooCommerce products in a table format. Your customers will be able to search products and filter them based on different criteria. Lot of websites that need to provide a quick order form for their customers such as food delivery sites use this. You will be able to customize the look and feel of the products list with advanced styling options. The plugin is feature rich, and boasts a large number of satisfied users. According to one user, it provides a very smooth transition between mobile and desktop screens. 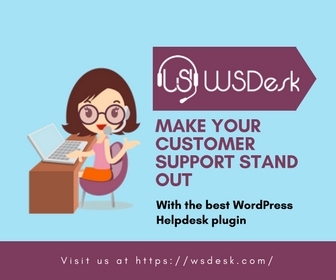 Moreover, users vouch for their great customer support and detailed documentation that will help you a lot in configuring it. A single site license of this plugin would cost you $39.99. The plugin really offers a great set of features, so that a lot of different type of sites can use it. Here is a quick look at some of the features. You can create a list of your products in a layout that is suitable to your store and customers. You can create a simple list of all the products or organize as separate product tables for each category. Organizing product lists based on categories will help in creating a clean look to you store. It helps you display variable products according to your specific strategy. Either you can show each variation in a row, or keep the product in one row with an option to select variations from a drop-down. You can choose a suitable style to display variations on your site. When customers know what they are shopping for, they prefer a faster checkout flow. And if they need more information on a product, they should be able to research. This plugin satisfies both scenarios as customers can click the product and go to its individual product page for more research. If they don’t need that they can simply scroll through the list and add products to the cart quickly. Several eCommerce store types can make use of the flexible features of this plugin. For example, for B2B sites, the minimalist flavor might be a big positive. The plugin helps several businesses like those selling wholesale, industrial, automotive parts, etc. 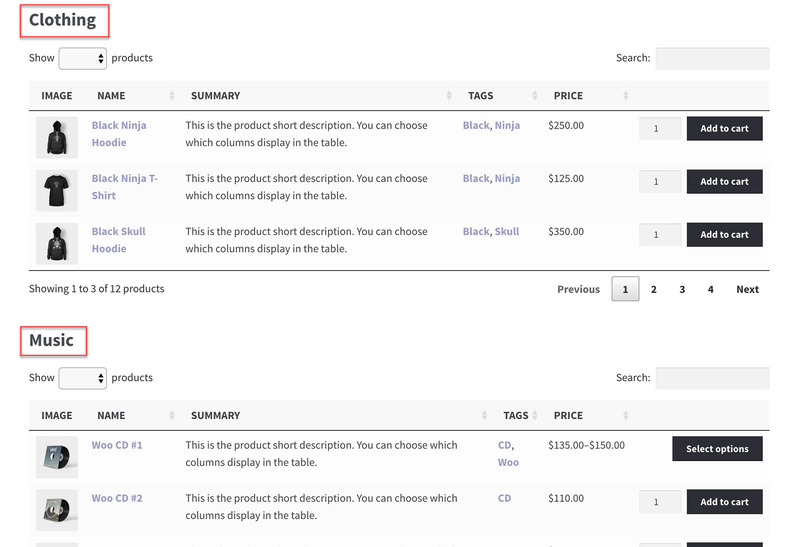 Compared to the default WooCommerce layout, a list view should be more helpful for customers to find the products they want. Customers can search in a list to filter products by attributes, categories or tags. Also, the plugin comes with widgets that will help customers search based on product rating or price. The plugin offers great options to search and filter products with taxonomy, attributes or other features like price or ratings. Another great advantage is that the customer can add multiple products to cart at the same time. When a customer is trying to order multiple items, they can manage it with a single click instead of doing back and forth multiple times. The plugin offers a great mobile experience as well. On the mobile screen, the list will expand and fold to hide and display products. You can choose products you want to give priority as well. You can display product images with all the features that you can manage in the default mode. Embedding video or other media files to your product listing is also quite easy. You will be able to customize the width of the columns and image sizes. 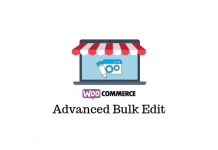 WooCommerce product table plugin allows you to customize image size and column width according to your store strategies. 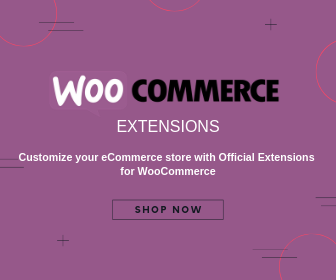 You can use WooCommerce Product Table with some useful plugins like Product Add-ons, or Advanced Custom fields. The additional product options will be displayed alongside the Add-to-Cart button, and the custom fields will be displayed as columns. It is also compatible to some of the popular pricing plugins. Here is an article detailing how you can use WooCommerce Product Table and Dynamic Pricing and Discounts plugin together on your store. You can find the entire list of plugins compatible with WooCommerce Product Table plugin here. 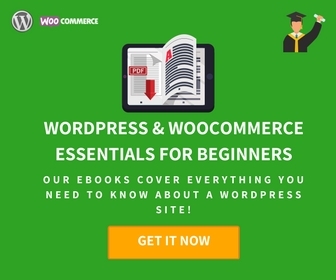 It is quite easy to get started with the WooCommerce Product Table plugin. You can simply click ‘Insert Product Table’ from the plugin settings page after selecting the required options. You can include any information part of WooCommerce product data as columns for your list of products. And if you have additional fields created by plugins like Product Add-ons or Advanced Custom Fields, you can include those as well. After setting up the product table, you can add products using the import export tool as well. Read more about WooCommerce Product import export options here. You can choose products specifically based on different criteria to be displayed on the order form. These include products by categories, tags, other taxonomy terms, custom fields, etc. You can directly add the order form to your existing shop page or category page as well. WooCommerce Product Table Plugin will be useful for your store? This plugin is really useful for certain types of stores and not so much for certain others. The most important thing is to identify the specific use case you have with this plugin. You might want to analyze your customer behavior before investing on this plugin. Once you find specific scenarios where it can help, the plugin is pretty comfortable and easy to set up. If you are not sure about the applicability of the plugin for your store, you can always contact their support team to get more clarity.